Please view the item on their site for the definitive information on how it can be used. DigitalNZ brings together more than 30 million items from institutions such as Auckland Libraries so that they are easy to find and use. We added this one from this URL on 13 March, 2017, and last updated what we know about it on 03 July, 2017.
on or around the date 1959. 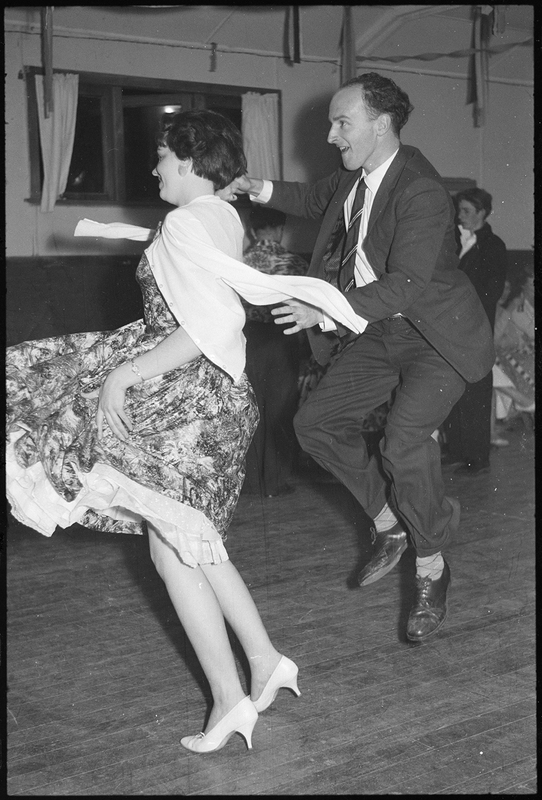 Showing an unidentified couple dancing the jive at a 21st birthday party? What is the copyright status of this item? This item is all rights reserved, which means you'll have to get permission from Auckland Libraries before using it. What can I do with this item? NZ Copyright law does not prevent every use of a copyright work. You should consider what you can and cannot do with a copyright work. You may not copy and/or share this item with others without further permission. This includes posting it on your blog, using it in a presentation, or any other public use. You are not allowed to adapt or remix this item into any other works. You may not use this item commercially.